Cool technology. A high-efficiency boiler extracts so much heat from fuel that cooler flue gases can be easily exhausted outside through a plastic pipe. Have you been thinking about getting a new boiler? This can be a smart upgrade if your existing unit is more than 10 years old. In a typical house, the energy consumed to heat water for washing or whole-house heating can account for hundreds or even thousands of dollars every year. Keeping an old boiler in service usually isn’t a good idea – even if it is functioning perfectly. 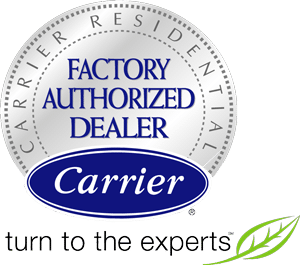 Contact Logan Home Energy Services if you are in need of a new, high-efficiency boiler for your home in Winston Salem, Greensboro, High Point or areas nearby! An old-style boiler requires a chimney to safely vent hot combustion gases to the exterior. The heat that indirectly goes up the chimney is wasted heat that doesn’t get used throughout the home. But a high-efficiency boiler extracts nearly all the heat from its fuel. As a result, exhaust gases are cool enough to be vented to the exterior through a plastic pipe. For this reason, these high-efficient boilers are also known as “direct-vent” boilers. A “sealed combustion” boiler is a direct-vent boiler that receives its combustion air from the exterior. The size of a boiler is described by its BTU (British thermal unit, a measure of heat) output. A medium-size boiler might have an 80,000 BTU rating. An AFUE (annual fuel use efficiency) rating tells you how efficiently a boiler can convert fuel to heat. An old “natural venting” unit can operate anywhere in the 50% to 80% efficiency range. The most efficient sealed combustion boilers can deliver heating efficiency as high as 94%. Replacing an old boiler with a new model makes a lot of sense if you plan to stay in your home for more than a few years or would like to live more comfortably. Interested to find out what heating system is right for your home from your local HVAC specialist? Schedule a cost estimate to install a high-efficiency boiler from Logan Home Energy Services today! Call or email to set up an appointment in Winston Salem, Greensboro, High Point, Kernersville, Clemmons, Lewisville, Pfafftown, Oak Ridge, Walkertown, Colfax, and areas nearby.